Toxin/antitoxin system MqsR/MqsA of Escherichia coli was discovered by the Wood lab in 2004 via a whole-transcriptome study as the first TA system in biofilms (previously proteins YgiU/YgiT were uncharacterized). 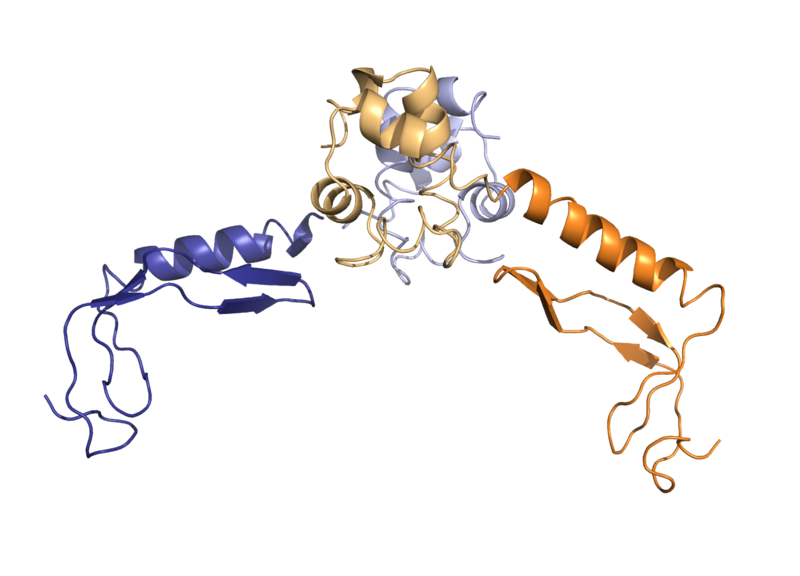 The structure of antitoxin MqsA is shown above (dimer, structure determined by collaborators Rebecca Page and Wolfgang Peti). Antitoxin MqsA helps regulate the stress response by controlling sigma factor RpoS (e.g., during oxidative stress) and helps regulate biofilm formation through curli formation; hence, MqsA is the first antitoxin shown to be a global regulator; i.e., the first antitoxin shown to regulate more than its own locus by binding at its palindromic locations at other positions on the chromosome. Furthermore, the MqsR/MqsA TA system controls toxin/antitoxin system GhoT/GhoS by MqsR cleaving preferentially the mRNA of antitoxin GhoS, so MqsR/MqsA is the first TA system shown to control another TA system as a cascade. The physiological role of MqsR/MqsA is to help the cell withstand bile acid stress in the gastrointestinal tract (bile acid serves as an antimicrobial and generates oxidative stress conditions). As the first toxin related to quorum sensing, toxin MqsR is also a global regulator by not degrading all mRNA equally (inspiring the phrase, “differential mRNA decay”). MqsR/MqsA is also the first TA system that when deleted, reduces persistence (persisters are dormant cells that are tolerant to antimicrobials and other stresses). Protein engineering of toxin MqsR to make a more toxic toxin revealed paradoxically that persister cells form more readily when bacteria that are less fit. These insights on MqsR toxicity led to the determination that persister cells are dormant, and from this recognition, we discovered two FDA-approved compounds that are the most effective compounds to date for eliminating persister cells (DNA crosslinkers mitomycin C and cisplatin). Skip the footer navigation links. Located in Althouse Building on the University Park Campus. Department of Chemical Engineering, The College of Engineering, The Pennsylvania State University. 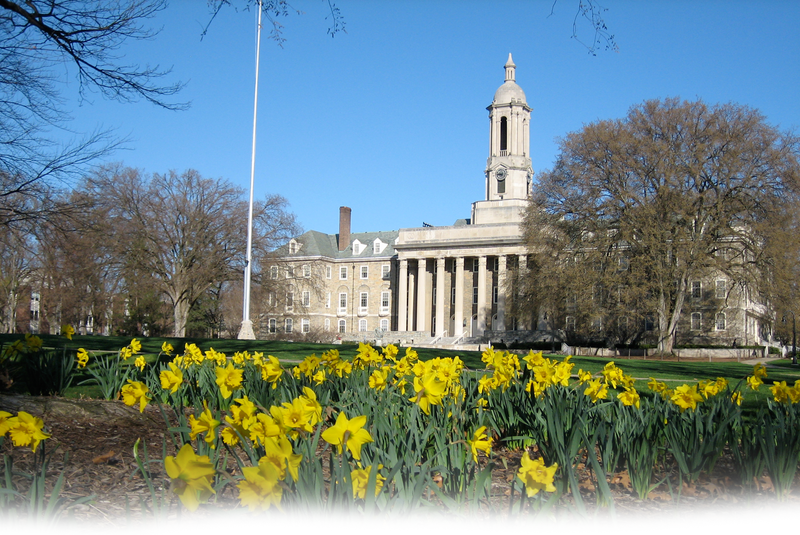 Penn State's privacy and legal statements, including: University Hotlines, Equal opportunity, Non-discrimination, Privacy, Copyright.